← Should the Minimum Wage be Increased? About 10 months ago, I wrote about whether or not Canada needs a Senate. I supported having a Senate, and I still do. 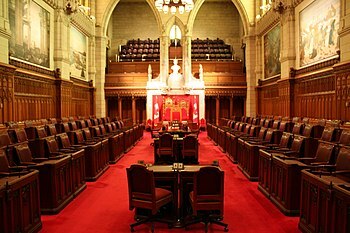 With the recent suspensions of three Senators, as well as the announcement that Liberal Party leader Justin Trudeau had kicked out Liberal Senators from the Liberal Party Caucus, I would like state that I still support having an Upper Chamber. Many other nations – including the United States, the United Kingdom, Australia, France, Germany, India, Japan, Switzerland, and Russia – have an Upper Chamber and Canada can benefit from having one. I still stand behind the fact that it is time for the vast majority of Senators to be appointed by the provinces, instead of the Federal Government. Each territory would be given one or two Senators, and the Federal Government would be allowed to appoint 10 Senators. I had originally recommended that each province receive 10 Senators, but I would even suggest eight Senators per province. You might be asking me why I am recommending an equal number of Senators per province? Well, it is because I believe that each province, regardless of size or population, is equal. No one province is better than any other province (my apologizes to any province that believes it is better or more important.) Also, this system does have merit – the U.S. Senate calls for an equal number of Senators from each State. Of course, I am open to a similar situation to how the House of Commons is comprised. Allow for 100 Senators to be divided up amongst the provinces based on population. That means higher populated provinces like Ontario and Quebec would receive more Senate seats than a province like P.E.I. If another province is ever added to the Confederation, then another 10 Senate positions would be created to allow for 110 Senate Seats to be distributed among the 11 provinces based on population. So, at present this would create 113 Senator positions: 100 appointed by the provinces, 10 by the Federal Government, and 3 from the three territories. Senators could be then appointed by the Lieutenant Governor of the particular province on behalf of the Monarch (just as the Governor General does now.) As positions become vacant due to retirement, resignation, or removal, the province would then appoint a new Senator. I am also willing to allow for an indirect style of election for Senators. The individual provincial legislature would elect each vacant position through a secret ballot. While the Cabinet would control the recommendations, the legislature would – by majority vote – decide whether or not an individual is appointed to the vacant position. And by being a secret ballot, this means that the Government of the province cannot control the appointments through their Whips. Each Senator, like now, would be allowed to choose to sit as a member of a specific party or as an independent Senator. Again, this is the advantage of the secret ballot, the Government party cannot guarantee that one of their supporters will be appointed, the backbenchers may vote for another member. The 10 ‘Federal Senators’ would remain appointed as now, through the Prime Minister’s Office. This will mainly allow the sitting Government some say in Senate appointments, and can be helpful. For example, by tradition there must at least one Cabinet minister from each province. While this tradition is not always followed, if the Government party does not have any Members of Parliament from a particular province, the Government will normally assign a nominal post (i.e. Minister without Portfolio) to a Senator from the province who is also a member of the Governing party. While we are at it, the position of “Leader of the Government in the Senate” would automatically be entitled to position in Cabinet. This potentially allows for the Government to have a Senator in Cabinet from a province they do not have an MP from. However, from a practical point of view, it gives the Senate some say in what bills will be presented by the Government. As for the cost of having a Senate. Other countries operate with one, and are fine with the costs involved. 1) Senator expenses will be audited yearly by the Auditor General and there should be a cap to how much a Senator may spend every year. A separate allowances can be granted for housing costs, pursuant to the Senator providing proof of residency – i.e. their primary residence used for tax purposes. Both their expense accounts and housing allowances would be audited on a yearly basis. 2) Reimbursement for attendance. Essentially, with some exceptions – e.g. the Speaker of the Senate, the Leader of the Government in the Senate, and the Leader of the Opposition in the Senate – members should only receive payment for days they actually ‘clock in’ above a small salary of $1,000 per month. In other words, a Senator would receive a small salary of $12,000 per year for being a Senator, but if they want to earn more income then they have to actually appear in the Senate or at a Senate Committee meeting. This reduces costs as it means that Senators are not paid when they are not actually working. And, as we have seen with some Senators recently, if a Senator is suspended then they would automatically be suspended without pay – again saying the taxpayers money and truly punishing the offenders. While I have always been a supporter of having a Senate, I do understand why people want to see something changed or have it abolished. While I totally disagree with abolishing the Senate, as I do believe that it can and does work, but I do agree that some sort of reform is required and I hope what I have suggested is what occurs to make the Senate more accountable, while still performing its duty to be the chamber of sober second thought. 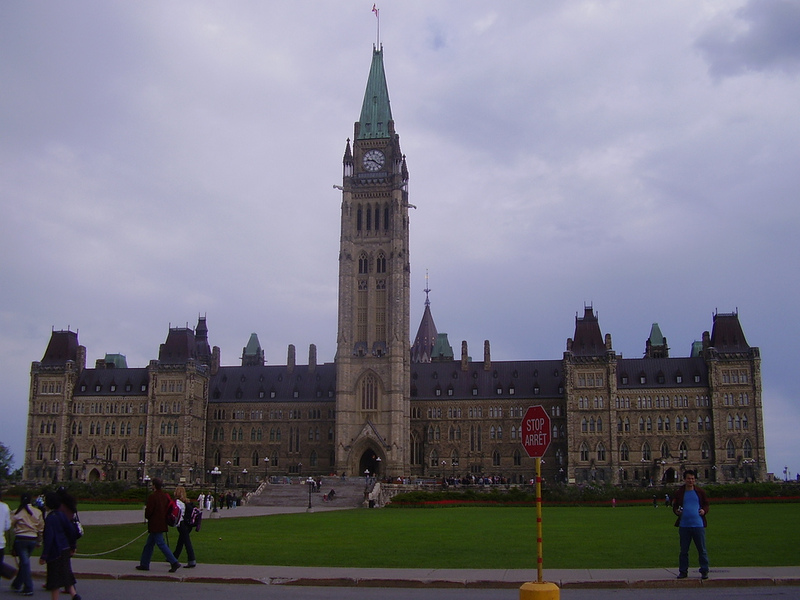 This entry was posted in Politics and tagged Accountability, Alberta, Auditor General, British Columbia, Canada, Constitution, Democracy, Dominion of Canada, Good Government, Government, House of Commons, Justin Trudeau, Manitoba, Newfoundland and Labrador, News Brunswick, Northwest Territories, Nova Scotia, Nunavut, Ontario, Parliament, Parliament Hill, Prince Edward Island, Quebec, reform, Saskatchewan, Senate, Senate of Canada, Senate Reform, Senator, the Senate, Yukon. Bookmark the permalink.